Inmates at the Pack Unit prison outside College Station argued in federal court that they should be housed in a maximum of 88 degrees. On Friday, the state agreed to bring air conditioning to the facility. 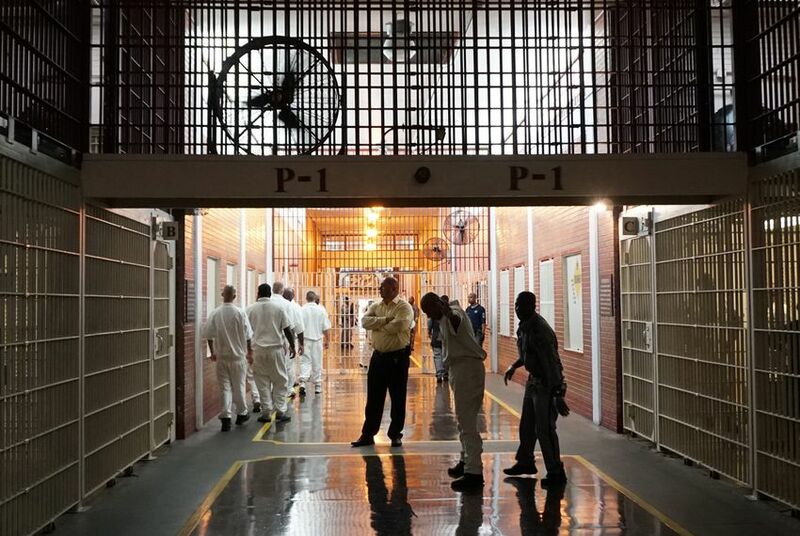 The state of Texas plans to install air conditioning in a notoriously hot prison after reaching a settlement with inmates in a federal class action lawsuit, an attorney for the inmates said Friday. The air conditioning will go into the housing areas of the Wallace Pack Unit southeast of College Station, where temperatures regularly exceed 100 degrees in the summer. Inmates argued in court that allowing prison temperatures to rise above 88 degrees amounts to cruel and unusual punishment. Edwards said the agreement details that the department will install temporary air conditioning for the coming summer, with permanent units in place by May 2020. A spokesman for the Texas Department of Criminal Justice confirmed an agreement, adding that the department and plaintiffs would be working to finalize details in the coming weeks. The agreement still needs to be approved in federal court, but U.S. District Judge Keith Ellison said he is optimistic it will push forward. Texas has more than 100 prisons, and almost 75 percent of them don’t have air conditioning in the areas where inmates live. Nearly two dozen inmates have died from heat stroke in Texas prisons in the last two decades. In 2014, inmates at the Pack Unit sued, arguing heat-sensitive inmates, such as those with heart conditions or who are on certain medications, should be protected from extreme temperatures. In July, Ellison issued a scathing, temporary ruling deeming the hot prison conditions cruel and unusual and ordering the state to place medically vulnerable inmates into air conditioning. This prompted a large shakeup of inmates, with the department opting to move more than 1,000 vulnerable prisoners into 11 different air-conditioned units instead of installing air conditioning at the Pack Unit. In a hearing last summer, TDCJ said that retrofitting the Pack Unit — built in 1983 — to include air conditioning for the entire prison would cost more than $22 million and nearly $500,000 a year to operate. An expert for the inmates put the bill at $450,000, with $175,000 in annual costs. Ellison said Friday the tentative deal also includes resolutions of several wrongful death lawsuits filed by families of inmates who died of heat stroke. The class-action settlement only applies to the one prison, but the lawyer for the plaintiffs suggested that the agreement could have broader ramifications. “Obviously, if the inmates can prevail and get much needed protection from the heat in one prison, there’s significance to that for inmates everywhere,” Edwards said.